TalkWorks was set up in 2009 by Anne Piper and Rosie Houldsworth formerly chair and deputy director of the Oxford Research Group (ORG) and closely involved in the group’s pioneering ‘Dialogue With Nuclear Weapons Decision-Makers’ work in the 1980s and 1990 which applied a Quaker-inspired person-centred approach of ‘speaking truth to power’ on the overwhelming issue of nuclear weapons and the nuclear arms race between the West and the Soviet Union. The rapidly emerging medium of internet video provided us with a new platform from which to reach a potential audience for our films of thousands, far greater than we could ever have hope to reach with the conferences, reports and books that had previously been the movement’s medium of communication. With a start-up grant from the Faith Raven Trust and the assistance of a student cameraman we embarked in January 2009 on a pilot project of 9 initial interviews* and posted the resulting films on a dedicated website and YouTube channel. By the end of the year we had joined forces with an independent Oxford-based filmmaker, Andy Russell of Different Films, who raised the quality of the films to a professional standard which attracted further financial support in the form of grants from small UK charitable trusts and individual donors, many of Quaker origin. By this time we had forged a link with the recently formed UK Parliamentary Top Level Group for Multilateral Nuclear Disarmament & Non-proliferation (TLG) through its convenor Lord (Des) Browne who wrote TalkWorks a letter of endorsement* encouraging other colleagues to be filmed for the project. 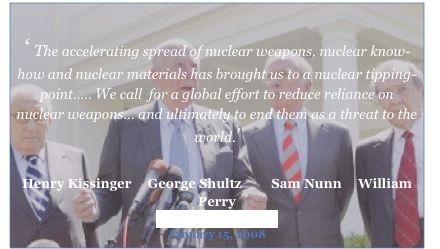 In May 2011 we were invited to film an important event in Westminster organised under the joint auspices of the US Nuclear Threat Initiative (NTI) and the European Leadership Network (ELN) for Henry Kissinger, George Shultz, William Perry and Sam Nunn representing their newly formed Nuclear Security Project to present a screening in London of their film ‘Nuclear Tipping Point’ to UK parliamentarians, leading NGOs and other independent experts and lead a discussion. 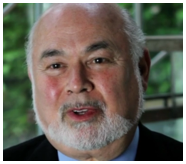 TalkWorks produced a full-length film of the event and a short trailer entitled Three Friends Went to London which has been used to promote the the NTI message in America, and elsewhere. In April 2010 we had made our own 20-minute promotional film & DVD entitled ‘Signs for Hope’ specially designed to raise awareness of and stimulate discussion on the topic of nuclear disarmament among younger people. It draws on our interviews with politicians and senior experts, interweaving their voices with those of students whom we approached in Oxford University Parks to ask them what they knew about nuclear weapons, and to talk about their hopes and vision for the future, (DVD available for £5+P&P from TalkWorks). But by late 2011 it was already becoming clear that the initiative was losing steam. We interviewed one of the senior Top Level Group members at that time, Liberal Democrat politician Sir Menzies Campbell, who suggested the reasons why. 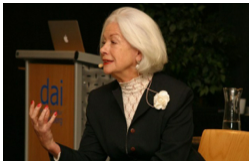 Some of our earlier contributors, including Scilla Elworthy in her 2009 interview, had warned that Obama’s bold disarmament initiative would ‘meet a wall of opposition’ and be beset by difficulties, and so it turned out. We then sought to discover the exact nature and extent of these difficulties from people with long experience in the field, first from former Swedish foreign minister and weapons inspector Dr Hans Blix whose interview we present as four short films under the general title ‘Blix on Disarmament’. We then returned to nonagenarian UK nuclear historian Dr Lorna Arnold OBE (1915—2014) and asked her to reflect on the past, present and future of the nuclear age as seen from her unique perspective of having lived through it all from its earliest beginnings, from inside the nuclear industry, charting its history in her books. We presented her simple, wise, deeply informed and sobering reflections in three short TalkWorks Specials. 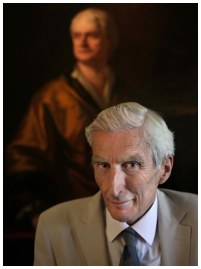 We also returned in 2013 to Lord Rees OM and Professor Paul Rogers to ask them to reflect on developments since we first interviewed them in 2010. Martin Rees is Britain’s foremost scientist, a cosmologist and astrophysicist, the Astronomer Royal and former president of the Royal Society, who at the time of filming our second interview was coming to the end of his term as Master of Trinity College Cambridge. We interviewed him in the Great Drawing Room at Trinity beneath the imposing portraits of Sir Isaac Newton, Galileo and Queen Elizabeth I about the ideas expounded in his books ‘Our Final Century?’ (2003) and ‘From Here to Infinity’ (2011). We filmed Paul Rogers, Professor of Peace Studies at Bradford University and Consultant on Sustainable Security to the Oxford Research Group (ORG), appropriately in the Quaker Meeting House in Oxford talking about the ideas contained in his December 2012 Special Briefing for the Oxford Research Group entitled, ‘Chances for Peace in the Second Decade: What is going wrong and what we must do’. In July 2013 we requested another interview with Lord Browne whom we had first interviewed in 2010 at the hopeful start of it all as the original convenor of the TLG, who became a driving force behind the subsequent creation of other leadership networks for nuclear disarmament in major regions of the world—the ELN in Europe, the APLN in the Asia-Pacific, the LALN in Latin-America. He had co-chaired the all-party UK Trident Commission set up to review Britain’s nuclear policy which had just published their report recommending the renewal of Trident, so we asked him for his personal feelings about the outcome of the review, and for his overall assessment of the multilateral disarmament agenda over the past 5 years and its prospects in the future. We wanted to know if he saw any signs for hope in spite of the setbacks he had encountered. His responses to our questions can be seen in 4 parts here. In June 2014 we ‘climbed to the top of the mountain’ to interview the ‘guru’ of peace and disarmament: former Catholic priest and leading light in the campaign for peace and nuclear disarmament (CND) and for the abolition of war (MAW) since the 1980s, Bruce Kent. Bruce has been passionately promoting the cause of nuclear abolition and and an end to war and militarism, both in his personal life and in his writing and campaigning, for decades, and been a thorn in the side of the UK political establishment for decades. But he was nevertheless described by a former Chief Foreign Correspondent of the right-wing British newspaper The Telegraph as ‘the most principled and consistent figure in British public life’ and ‘a pillar of our great national tradition of political radicalism’. In his eighties he continues to travel the country speaking up for an end to Trident, and the madness of nuclear weapons and war. His interview is inspiring and uncompromising and can be seen in 4 parts HERE. ‘The footprints of science, technology, and human social organization have never disturbed the natural world as intensely as they do today. Their impact has created many threats unique to the twenty-first century, and we must recalibrate the way security is pursued. The threats ignore national boundaries, and they cannot be met without global cooperation and the rule of law. Policies inconsistent with that cooperation must be challenged, and new thinking is critically needed’. In his interview, posted on TalkWorks’ Home Page and on YouTube, he sets out his vision for a global security framework for the 21st century, in which nuclear weapons are rendered obsolete and illegal under international law. I am very happy and honoured to give the last word on TalkWorks ‘Talking About Nuclear Disarmament’ to Scilla who first inspired me to take the path of ‘talking truth to power’ rather than protesting angrily and hopelessly against nuclear weapons 33 years ago, and who devotes her life to building peace. Thank you from the TalkWorks team. We are deeply grateful to the charitable trusts and individual donors who have supported TalkWorks financially, especially the Mulberry Trust and Teresa Elmaloglou whose financial support allowed us to go on ‘talking about nuclear disarmament’ with people such as Hans Blix, Martin Rees, Paul Rogers, Bruce Kent and Jonathan Granoff long after the political momentum for nuclear disarmament died away. After a few months break to reflect on where next for TalkWorks and to fulfil a filming commission from the Stockholm International Peace Research Institute (SIPRI), we shall be seeking further funding to make further films exploring the deeper underlying causes of violence and war of which nuclear weapons are the most monstrous expression. In the meantime we are seeking development funds for a full-length feature documentary film on the nuclear age with the working title of ‘Infinite Possibilities’, to be made by Andy Russell of Different Films in association with TalkWorks. If you like what TalkWorks does, please continue to follow us and help us by disseminating and embedding our films in your own website and sharing them on your Facebook, Twitter and other social and professional networking sites.